that sound perfect when you buy them on vinyl and let a record player bring the glorious grooves to life. It may sound odd, you’d think, to include Supergrass’ In It for the Money in that category. The album is only twenty-one-years-old but, in my mind, it is a modern classic. I am a huge fan of the band and was sad to see them split after Diamond Hoo Ha (to be fair, a stupid name for an album!). In 1997, after the success of their debut, NME were ready to call In It for the Money “More fun than watching a wombat in a washing machine”. Whilst that imagery seems cruel to the point of calling in the authorities; it does provoke a certain smile! I was alive and bonding with music when Supergrass released their debut, I Should Coco. In a year where Blur and Oasis were battling it out for chart supremacy; Supergrass came into Britpop with their own brand – something that sat outside the camps of Blur and Oasis. Recorded in Cornwall, two years after the band started life together, it was an instant hit and resonated with critics. That early success, in some part, would have been down to the incredible success of Alright – a song that not only soundtracked the summer but seemed to define the generation. The bands influenced – Buzzcocks, The Jam and The Kinks – can be heard in the album’s best moments. From the stomp of Mansize Rooster to the stabbed and nervy guitars of Lenny – it is a packed and explosive album with so much invention and life. Although it is a top-heavy album – all five of its singles are included in the opening six songs – there is plenty to recommend in the closing half. It gets trippier and more mind-bending when you reach songs like She’s So Loose and We’re Not Supposed To: an album of two halves that sits together wonderfully. The three-chord, fun songs that went into their debut sat nicely with the signs of the time. Oasis had their sophomore release whilst Blur were entering a new phase of their career post-Parklife. 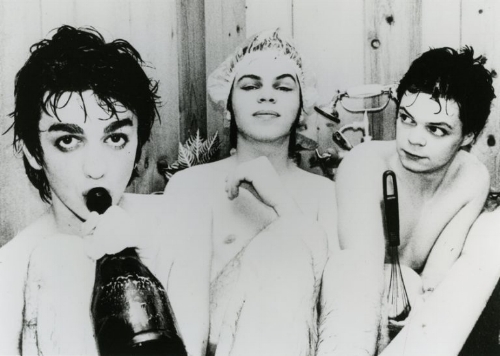 It was a competitive and exciting time in British music – Supergrass were the new boys and, as such, could have easily mimicked what was at the forefront. After I Should Coco scored big and gained legions of fans; the band could have traded off the songs and toured for many years. There was pressure to follow up on their debut and, in the process, keep their sound true. In It for the Money, in 1997, if you compare it with what was happening with Blur and Oasis seemed to carry on their work. Both bands were changing (Oasis less successful than before; Blur embracing U.S. Rock and getting darker) and Supergrass were thinking about their own sound. Whilst there are similarities between the two albums; In It for the Money is a more confidence and daring album than the debut. One might think they’d embrace a darker and more adult sound but, if anything, there is even more fun and juvenile energy than I Should Coco. Supergrass had disruptions and problems when recording. Sessions were interrupted with their drummer Danny Goffey going back to London – they recorded in Sawmill Studios, Cornwall – to play with his and Pearl Lowe’s band Lodger caused some problems. Supergrass' management was unhappy and told Goffey it was unacceptable. Gaz Coombes, Supergrass’ lead, and Goffey were arguing in the press regarding the lyrical meanings behind In It for the Money’s standout (in my mind) track, Going Out – whether press intrusion and privacy inspired the words. Only two songs were written prior to entering the studio and the band spent an age coming up with the album’s title – the final decision might have been a cheeky nod to their status and what they were in music for! Early tensions and delays could/should have ground things to a halt. If anything, that sort of energy motivated the band to produce something close to a masterpiece! In It for the Money is slightly less top-heavy than the debut and starts and ends with bigger bangs. In It for the Money and Richard III are perfect one-twos that get you invested and prove their debut album was no fluke – the latter became a big hit and was always destined for singalong festival crowds. Those looking for a similarly-gleeful Alright found plenty to love in songs like Tonight and Going Out. Tonight has that party atmosphere and seems to burst from the speakers. Few bands would have been bold enough to add a variety of instruments into the traditional guitars-bass-drum set-up. Tonight sees horns parping; organs can be heard on Going On – Late in the Day has acoustic guitar; piano can be heard in other moments. The album’s opening trio of songs gets the mood up and seems to set up the party. Late in the Day, track-four, comes after-dark and is the young band showing maturity and tenderness. It is a beautiful number that showed the range and sense of flexibility the band were employing in their work. From there, it is on with a new day and plenty of fun! Going On is a pure Beatles-esque blast of imagination. It has big horns and organs; the chorus is catchy and the lyrics cryptic – you’d have to ask Gaz Coombes to see what the true meaning is! “On its second album, the cleverly titled In It for the Money, Supergrass brought the songs to the forefront, slowing the tempos considerably and constructing a varied, textured album that makes the band's ambition and skill abundantly clear. From the droning mantra of the opening title track, it's clear that the band has delved deeply into psychedelia, and hints of Magical Mystery Tour are evident throughout the album, from swirling organs and gurgling wah-wahs to punchy horn charts and human beatboxes. 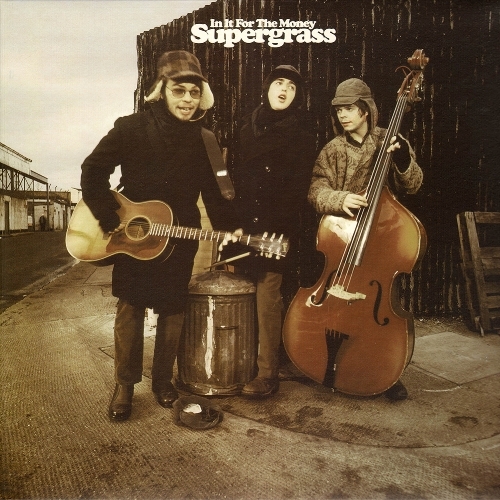 In fact, Supergrass has substituted the punky rush of I Should Coco for such sonic details, and while that means the band only occasionally touches upon the breakneck pace of its debut (the hard-driving "Richard III"), it also deepens its joyful exuberance with subtle songs and remarkably accomplished musicianship. There might not be a "Caught by the Fuzz" or "Alright" on In It for the Money, but that's not a problem, since the bright explosion of "Sun Hits the Sky" and the nervy "Tonight" are just as energetic, and the album features introspective numbers like the gorgeous "Late in the Day" and "It's Not Me" that give it substantial weight”. LET it do its work.